As I said from the beginning, this newsletter is a bit of an experiment. My goal was to create something different than your typical list of recent articles to read. I wanted to bring inspiration, along with a “curriculum” of sorts, that we could use to build on our serverless knowledge and explore new techniques to become better developers and product people. My hope was that feedback from the community would help drive the discussion and that we could explore these paths together. I’ve received lots of great feedback (which I’m very grateful for), and I’ve incorporated that feedback into each new issue. However, I want to push this further. I want to know your questions, your insights, your successes, and your failures. Send me your posts, your videos, your tweets, your books, your courses, your case studies, or simply one sentence that shares something you’ve learned about serverless. I want Off-by-none to be a conversation that promotes serverless and encourages others to adopt it. Your participation, even something small, will go a long way! A group of AWS Heroes released their picks from the re:Invent event catalog. Marcia Villalba’s Adopting Serverless and Eric Hammond’s Advanced Serverless guides are chockfull of great sessions. I’ll be at re:Invent this year as well, so please be sure to connect with me so we can meet up. If you want to get super technical, Ory Segal over at PureSec had a chat with Jeff Foristal (aka Rain Forest Puppy) about serverless security. You might remember Jeff as the guy who first documented SQL injection and the Poison NULL byte. 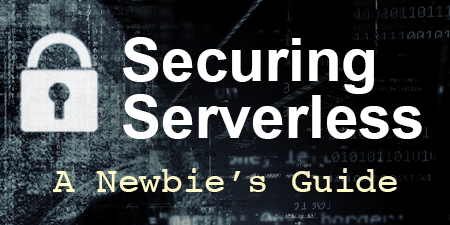 Certainly worth the read if you’re serious about the future of serverless security. Christophe Bougère put together a list of Serverless framework tips and tricks. He’s created a lot of boilerplate code to make his life easier, which you can definitely borrow to make your life easier. He heavily embraces the monolithic approach, leading to very large services (which I’m not a fan of), but there are plenty of great takeaways. Seth Vargo, a developer advocate over at Google, wrote a great piece that explores Secrets in Serverless. This topic continually surfaces as vendors release more tools to deal with this issue and developers become more aware of the security risks associated with it. Last week, PureSec raised $7M in a Series A round led by Square Peg Capital. This is a huge deal for us serverless fanatics out there. Not just because this has allowed PureSec to offer a Free Tier of their serverless security platform, but because this shows the continued commitment that institutional investors are willing to make in the serverless space. This follows an institutional investment into Stackery, who raised $5.5M earlier this year. There are a lot of serverless startups that are still working off their seed rounds, so it will be interesting to see what happens with more investors looking to jump on the serverless bandwagon. Alphabet is shutting down Google+ after data from over 500,000 user accounts were inadvertently exposed to third-party developers. Google says the security issue didn’t meet the threshold needed to notify users, but clearly the privacy issue, coupled with the fact that nobody uses Google+, has made the decision to shutter the service much easier. I mention this because companies (and consumers) are getting more savvy about privacy. These types of news stories, along with the daunting requirements of GDPR, make it more difficult for smaller companies to comply with regulations and user expectations. Google also announced that Gmail Add-Ons will soon require “third-party security assessment that will cost them about $15,000 to $75,000.” Serverless applications and the robust security of cloud vendors will help startups enhance their security posture if best practices are embraced. Something worth exploring more. This week’s star is Yan Cui (aka @theburningmonk). Yan is a staple in the serverless community. He’s an AWS Serverless Hero, his Production Ready Serverless course is one of the most comprehensive available, and his blog is a treasure trove of serverless content. Beyond all that, he is a regular speaker at serverless conferences, sharing information and insights directly from working in the serverless trenches. His posts and conference talks always dig deep into advanced topics, which helps those that are well beyond the “build your first serverless app” stage and are ready to take it to the next level. 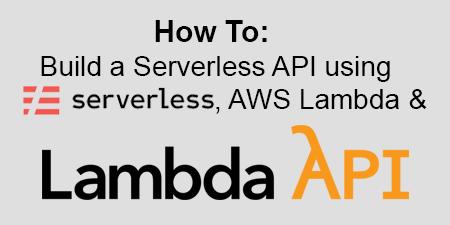 There’s so much to learn and explore when it comes to serverless that it can often seem overwhelming. However, the serverless community is filled with a number of really helpful people who love serverless and the potential it brings. 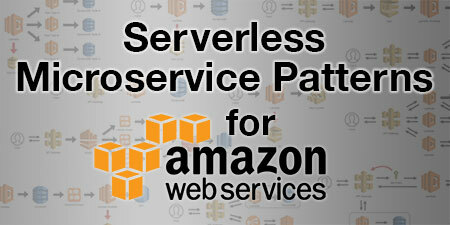 With new serverless starts up getting funding and more and more people starting to share their experiences with this technology, I’m looking forward to a very bright future for serverless! I hope you enjoyed this issue of Off-by-none. Feedback and suggestions would be greatly appreciate so that I can continue to make this newsletter better. Contact me via Twitter, LinkedIn, Facebook, or email and let me know your thoughts, criticisms, and how you’d like to contribute to Off-by-none.